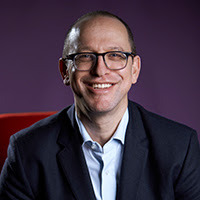 Shai Weiss will take over the top job at Virgin Atlantic when the current boss Craig Kreeger retires at the end of the year. Shai Weiss started at Virgin Atlantic in 2012 and took up his current role as Cheif Commercial in January 2017. The airline confirmed the move this week as well as announcing its new corporate strategy, named Velocity that will see its partners Delta Air Lines and the Air France-KLM Group taking greater ownership of Virgin and at the heart of the UK based carrier future. "As we embark on Velocity, I consider this to be the ideal time to pass the leadership baton to Shai and for me to begin a new chapter," Craig Kreeger said. The airlines' founder, Richard Branson said Craig Kreeger had done a "fantastic job" during the five years of his tenure at the top of Virgin Atlantic. "He has focused our people on providing the best customer service by refreshing our onboard experience, bringing in new planes and bringing us closer to our partner Delta," Branson stated. Peter Norris, Chairman of Virgin Atlantic looked forward and said that he believed Shai Weiss had "an unwavering commitment to excellence and a relentless ability to challenge the status quo". The UK airline also recently announced it would start a service to Los Angeles from Manchester from 22nd May 2019 on a 287-seat Airbus A330-200 aircraft.